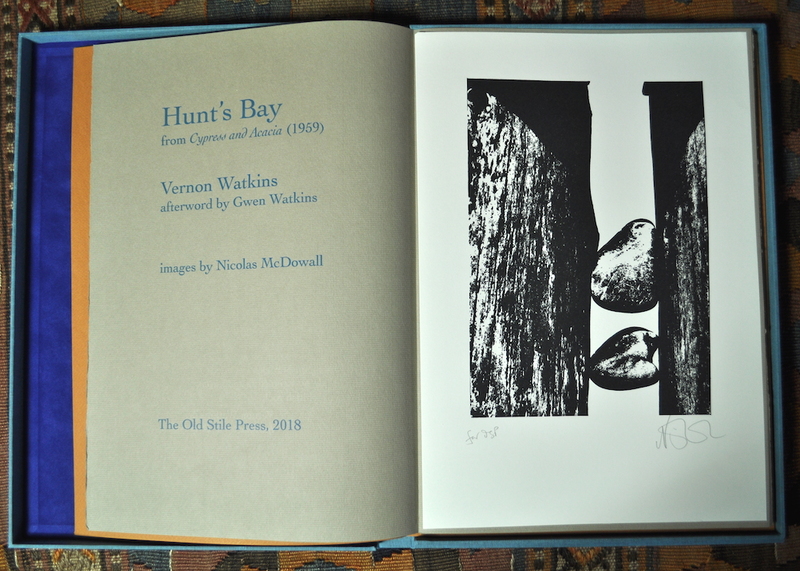 We have long been fascinated with the poetry of Vernon Watkins and have been encouraged and supported in this by our friendship with Gwen Watkins who still lives in Swansea, on the way to the Mumbles,on the Gower Peninsula, close to where she and her husband lived and, indeed, close to Hunt’s Bay. 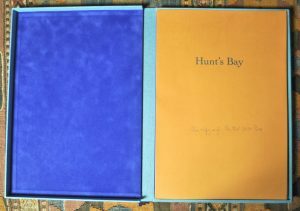 We are most grateful for her permission to publish the poem in this form and, especially, for writing such an engrossing Afterword. 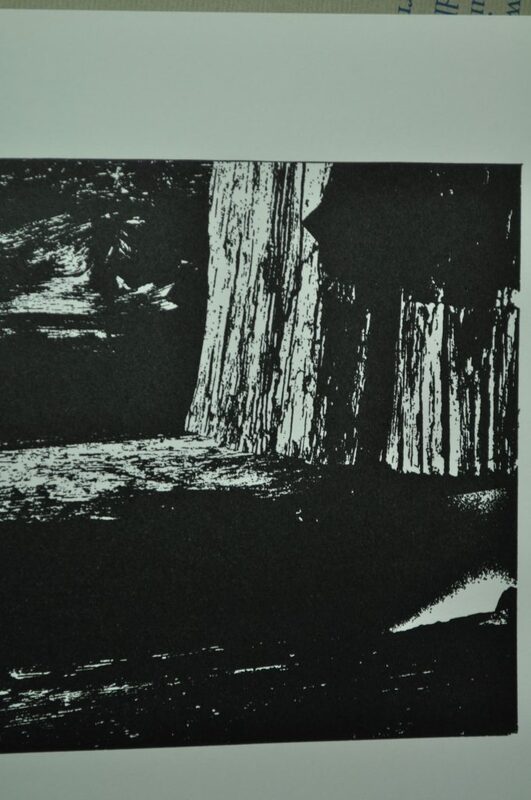 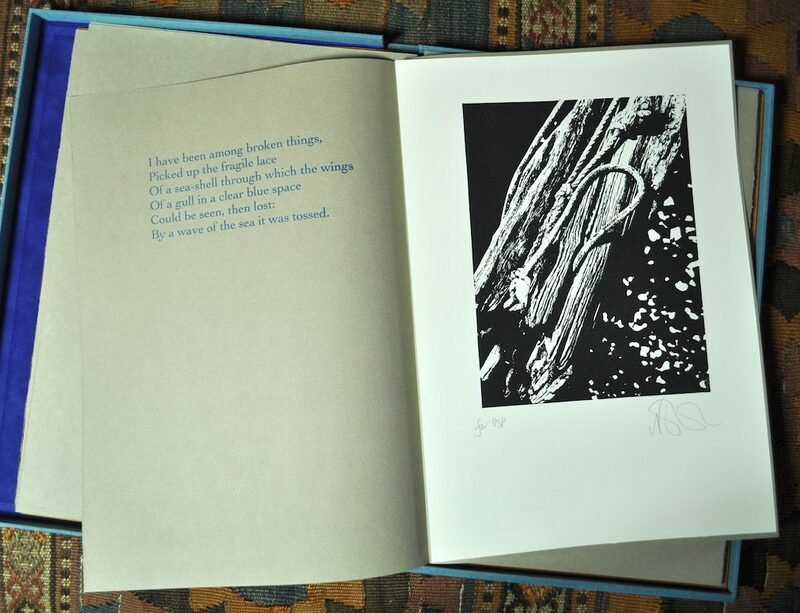 The nine images by Nicolas McDowall that accompany the eight verses of the poem and act as frontispiece were derived from digitally manipulated photographs and were printed by hand from relief blocks. 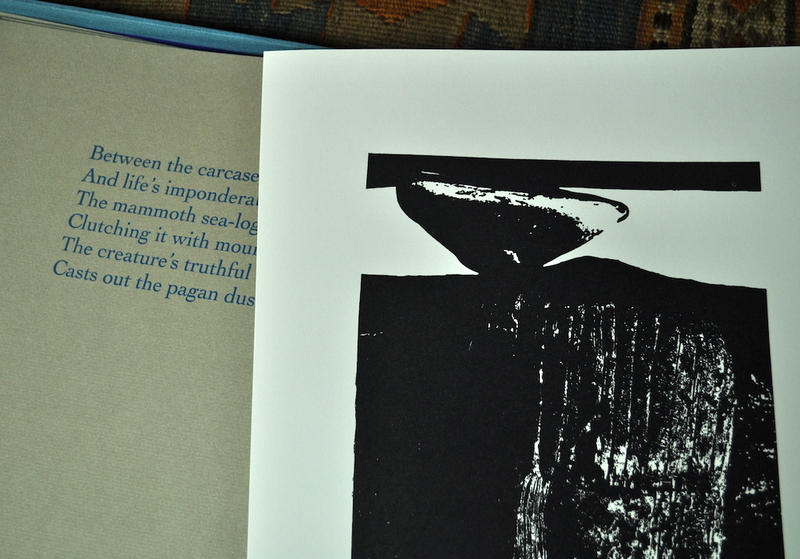 They are a response to the cliffs, rocks and stones hurled by the wild seas in Hunt's Bay - abstract forms photographed on a beach to create stark black and white printing surfaces. 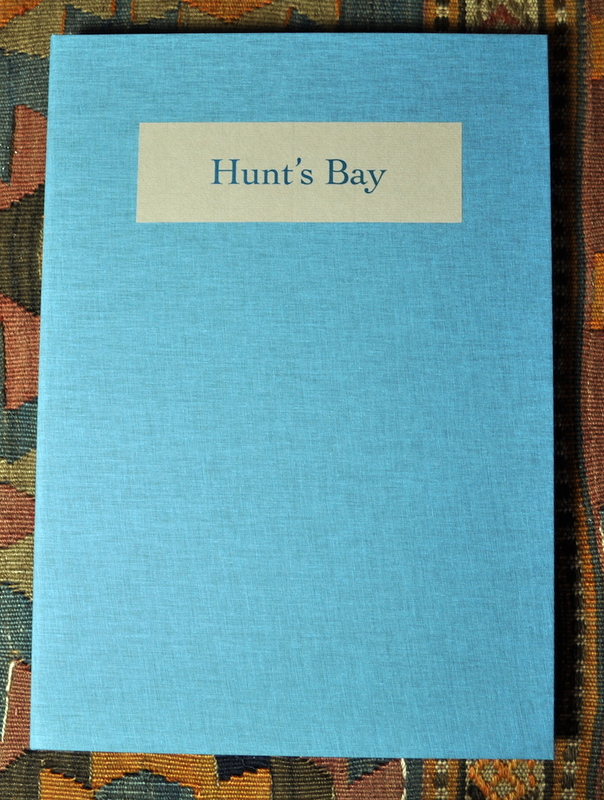 The typeface is Cochin and the papers used are Somerset Book Wove and, for the text, Bugra Butten. 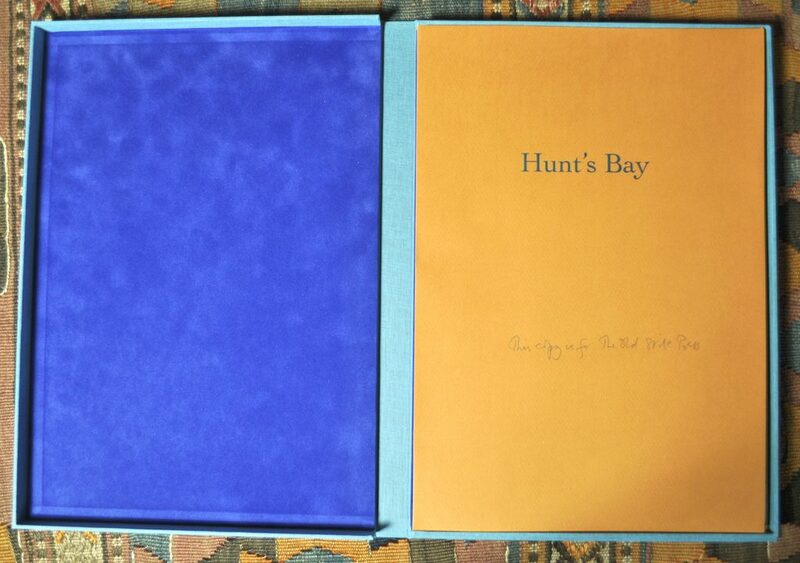 The collated sections, placed in a paper chemise, are enclosed in a labelled blue cloth covered dropback box lined with blue velvet. 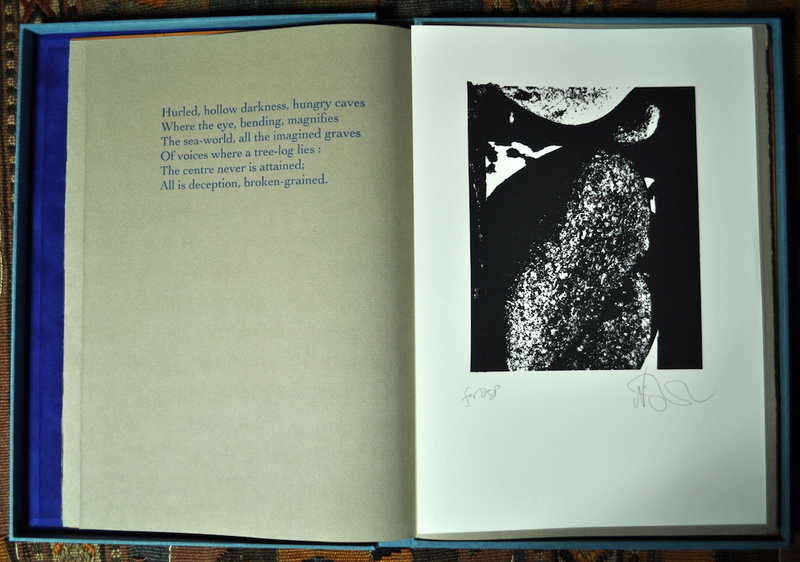 26 lettered copies A-Z copies were printed of the Main Edition and copies are available to buy at £450 each.